malicious attacks from reaching your network or e-Commerce trading infrastructure. differ, so a choice of service packages is offered to suit differing requirements. Get complete visibility over your network traffic with the ability to detect attacks in their infancy from one central portal! 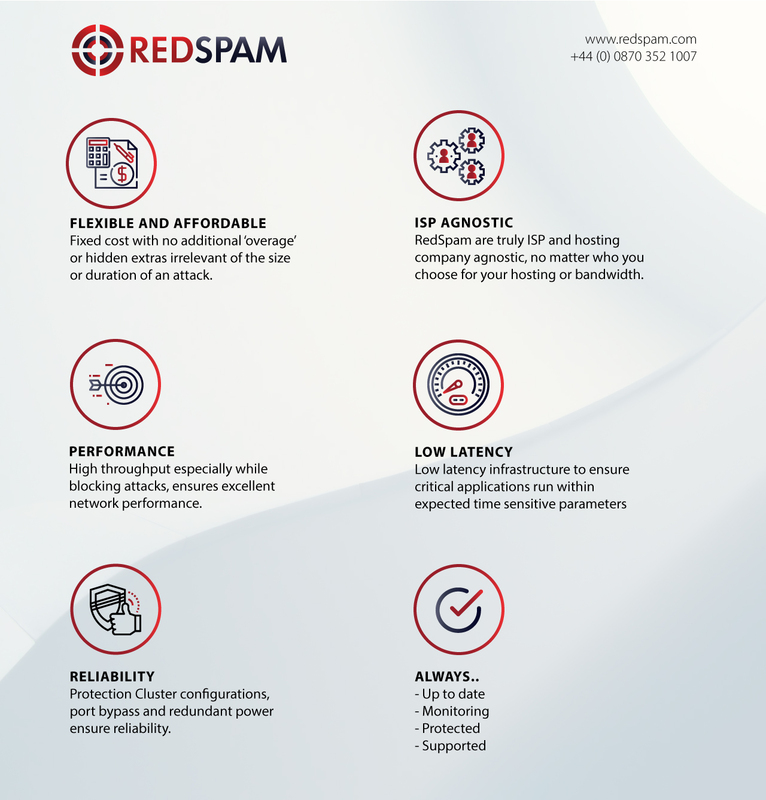 RedSpam provide fully managed 24x7x365 DDoS protection and mitigation solutions that prevent targeted malicious attacks from reaching your customers' infrastructure. RedSpam offer a breadth of solutions, services and technologies and a wealth of experience that helps protect and secure your business.